In chemistry, a catalyst is a substance that speeds up the rate of a reaction without itself being consumed in the reaction. Any reaction that makes use of a catalyst is termed catalysis. Be careful about this distinction when reading chemistry material; a catalyst (plural "catalysts") is a physical substance, but catalysis (plural "catalyses") is a process. 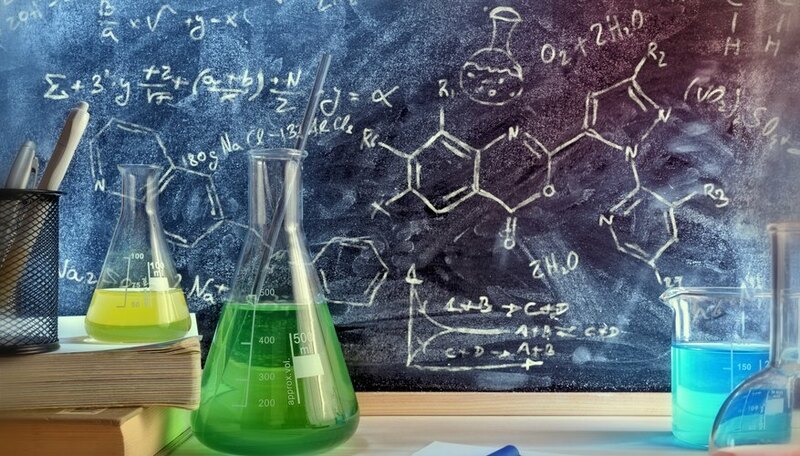 An overview of each of the classes of catalysts is a helpful starting point in learning analytical chemistry and understanding what happens at the molecular level when you mix substances together and a reaction occurs. Catalysts and their associated catalytic reactions come in three main types: homogeneous catalysts, heterogeneous catalysts and biocatalysts (usually called enzymes). Less common but still important types of catalyst activities include photocatalysis, environmental catalysis and green catalytic processes. The majority of solid catalysts are metals (e.g., platinum or nickel) or near-metals (e.g., silicon, boron and aluminum) attached to elements such as oxygen and sulfur. Catalysts that are in the liquid or gas phase are more likely to consist of a single element, although they may be combined with solvents and other material, and solid catalysts may be disseminated within a solid or liquid matrix known as a catalyst support. Catalysts speed up reactions by lowering the activation energy Ea of a reaction that would proceed without the catalyst, but far more slowly. Such reactions have a product or products with a lower total energy than that of the reactant or reactants; were this not the case, these reactions would not occur without the addition of external energy. But to get from the higher energy state to the lower energy state, the products must "get over the hump" first, that "hump" being the Ea. Catalysts in essence smooth out the bumps along the reaction-energy road by making it easier for the reactants to get to the energy "downslope" of the reaction by simply lowering the elevation of the "hilltop." Chemical systems feature examples of positive and negative catalysts, with the former tending to accelerate the rate of the reaction and negative catalysts serving to slow them down. Both can be advantageous, depending on the specific outcome desired. Catalysts carry out their work by temporarily bonding to or otherwise chemically modifying one of the reactants and changing its physical conformation, or three-dimensional shape, in a way that makes it easier for the reactant or reactants to be transformed into one of the products. Imagine having a dog that has rolled in the mud and needs to be clean before it can come inside. The mud would come off the dog by itself eventually, but if you could do something that prodded the dog in the direction of the yard sprinkler so that the mud would be sprayed off its fur quickly, you would have served in effect as a "catalyst" of the dirty-dog to clean-dog "reaction." Most often, an intermediate product not shown in any ordinary summary of the reaction is formed from a reactant and the catalyst, and when this complex is changed into one or more final product, the catalyst is regenerated as if nothing had ever happened to any of it at all. As you will see shortly, this process can take place in a variety of ways. A reaction is considered homogeneously catalyzed when the catalyst and the reactant(s) are in the same physical state or phase. This most often happens with gaseous catalyst-reactant pairs. Types of homogeneous catalysts include organic acids in which the donated hydrogen atom is replaced by a metal, a number of compounds blending carbon and metal elements in some form, and carbonyl compounds joined to cobalt or iron. This reaction would have a difficult time proceeding on its own despite the favorable energetics, because both reactants are negatively charged and therefore their electrostatic qualities are in opposition to their chemical qualities. But if iron ions, which carry a positive charge, are added to the mix, the iron "distracts" the negative charges and the reaction moves forward quickly. A naturally occurring gaseous homogeneous catalysis is the conversion of oxygen gas, or O2, in the atmosphere to ozone, or O3, where oxygen radicals (O-) are intermediates. Here, ultraviolet light from the sun is the true catalyst, but every physical compound present is in the same (gas) state. A reaction is considered heterogeneously catalyzed when the catalyst and the reactant(s) are in different phases, with the reaction occurring at the interface between them (most commonly, the gas-solid "border"). Some of the more common heterogeneous catalysts include inorganic – that is, non-carbon-containing – solids such as elemental metals, sulfides and metallic salts, as well as a smattering of organic substances, among them hydroperoxides and ion exchangers. Zeolites are an important class of heterogeneous catalysts. These are crystalline solids made up of repeating units of SiO4. Units of four of these joined molecules are linked together to form different ring and cage structures. The presence of an aluminum atom in the crystal creates a charge imbalance, which is offset by a proton (i.e., a hydrogen ion). Enzymes are proteins that function as catalysts in living systems. These enzymes have components called substrate binding sites, or active sites, where the molecules involved in the reaction under catalysis become attached. The component parts of all proteins are amino acids, and each of these individual acids has an uneven charge distribution from one end to the other. 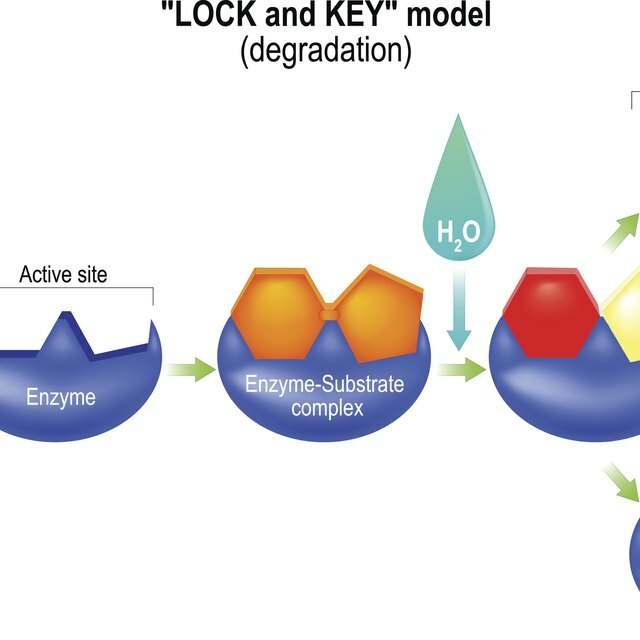 This property is the main reason enzymes possess catalytic capabilities. The active site on the enzyme fits together with the correct part of the substrate (reactant) rather like a key going into a lock. Note that the catalysts described earlier often catalyze an array of dissimilar reactions and therefore do not possess the degree of chemical specificity that enzymes do. wherein the middle term is the enzyme-substrate (ES) complex. Enzymes, although classified as category of catalyst distinct from those listed above, can be either homogeneous or heterogeneous. Enzymes function optimally within a narrow temperature range, which makes sense given that your body temperature does not fluctuate by more than a few degrees in ordinary conditions. Extreme heat destroys many enzymes and causes them to lose their specific three-dimensional shape, a process called denaturing that applies to all proteins. What Happens to the Oxidation Number When an Atom in a Reactant Loses Electrons? Beck, Kevin. "Different Types of Catalysts." Sciencing, https://sciencing.com/different-types-catalysts-6824467.html. 01 December 2018.